Building on successful public health reporting pilot projects in Ottawa and Kingston, Ontarians will soon be able to use CANImmunize to immediately see and download their own, and their families’ official immunization records held by the province. CANImmunize, the popular digital immunization record for iOS and Android devices, and on the web, allows Canadians to securely manage their immunizations at the touch of a fingertip. Now, the CANImmunize team is working to bridge the gap between citizens’ immunization records and their public health units. 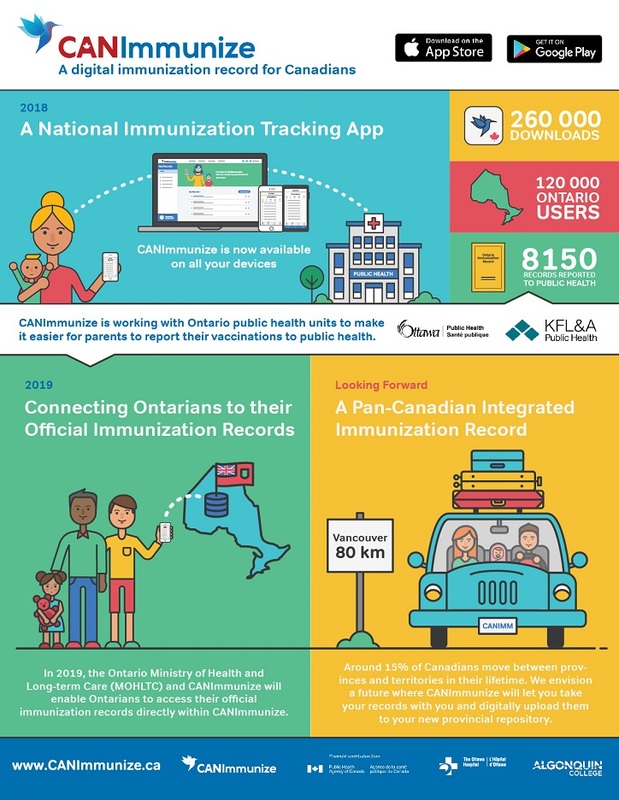 As part of Project Spark, CANImmunize will make it easier for Ontarians to view, download and add to their official immunization information that is currently held by the province, directly from their personal digital devices. Project Spark is an Ontario initiative that allows digital health innovators such as CANImmunize, to flow provincial health information into the hands of patients and their health services providers. Parents of school-aged children, who are required to have up-to-date records for daycare and school entry, may benefit from an alternative way of reporting any new or missing vaccinations directly to the provincial immunization database. A successful Ontario-wide project will also pave the way towards moving immunization records digitally between provinces. With the help of CANImmunize, people could eventually download their immunization records from one province’s immunization database and bring that information with them digitally to another province or territory. "We are grateful to be supported by the Public Health Agency of Canada and excited to be innovating with the Province of Ontario as we use digital technology to both empower Canadians with their health information and improve the quality of information held by the health system,” says Dr. Wilson. 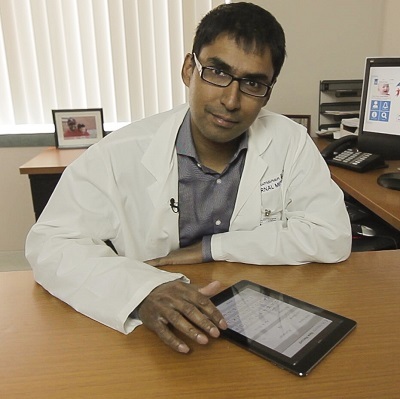 CANImmunize was developed by The Ottawa Hospital mHealth Lab at Algonquin College, led by Dr. Wilson in an effort to empower Canadians to better manage their own immunization records. The app has been downloaded over 270,000 times to date and has recently been cited by the European Centre for Disease Prevention and Control (ECDC) as a model for consumer facing immunization solutions. CANImmunize.ca is an accredited resource by the World Health Organization’s Vaccine Safety Net. View the CANImmunize press release, video and media images. To learn more about CANImmunize, visit www.canimmunize.ca.